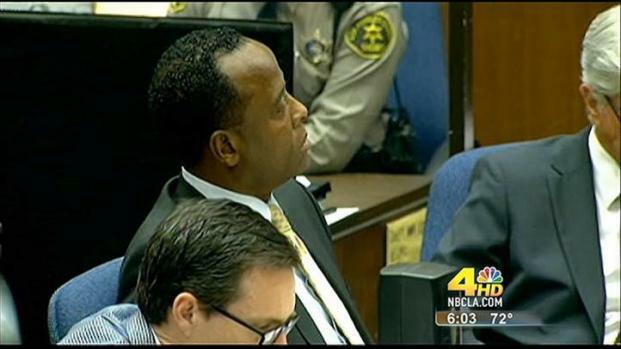 An expert on the drug administered to Michael Jackson in the final hours of the pop star's life took the stand Thursday as one of the prosecution's final witnesses in the involuntary manslaughter trial of the King of Pop's personal physician. The drug Jackson called his "milk" has been mentioned repeatedly during prosecution witnesses' testimony -- the first security guard to enter Jackson's bedroom at a rented Holmby Hills estate on June 25, 2009 testified Murray instructed him to hide bottles of the drug before calling 911. Dr. Steven Shafer is likely to explain propofol's effects and back up Wednesday's testimony from two medical experts who said Murray's use of the drug was just one misstep that led to the death of Jackson. The anesthetic is usually administered in a surgical setting, and prosecution witnesses have testified that Murray lacked the medical equipment needed to properly monitor his patient. Shafer testified briefly Thursday before court recessed. Proceedings will resume Monday with more testimony from Shafer, who helped create guidelines for propofol usage. Defense attorneys claim it was Jackson who administered the fatal dose when Murray was not in his bedroom after the doctor spent a restless night at the entertainer's side. The defense surprised prosecutors and the judge Wednesday when attorneys announced they would not pursue a claim that Jackson self-administered propofol orally. Results of a study the defense commissioned confirmed that if Jackson swallowed the anesthetic, its effects would be "trivial," according to the defense. That announcement was followed by testimony from a cardiologist who was blunt is his assessment of Murray's treatment of Jackson. "If all these deviations (from standard care) hadn't happened, Mr. Jackson would've been alive," said Dr. Alon Steinberg. Even in the critical moments after Murray realized Jackson's was not breathing, Murray failed his patient, Steinberg said. We visit an operating room and have an anesthesiologist show us how propofol is administered. Please note the woman on the table is a model, not an actual patient and does not actually receive propofol. "Personally, I would have called 911 first," Steinberg said under cross-examination, noting that the doctor told investigators he called Jackson's assistant as he attempted to resuscitate Jackson. "It takes two seconds to dial and say, 'I'm a doctor, there's an arrest, come to 100 Carolwood now.' Put it on speaker, do your stuff." Murray told investigators that he left the bedroom for just a few minutes, then was startled to find he patient was not breathing when he returned. "It's like leaving a baby sleeping on your kitchen counter top," said Steinberg. "You would never do it because there's a small -- a very, very small -- chance that the baby could fall or grab a knife or something." 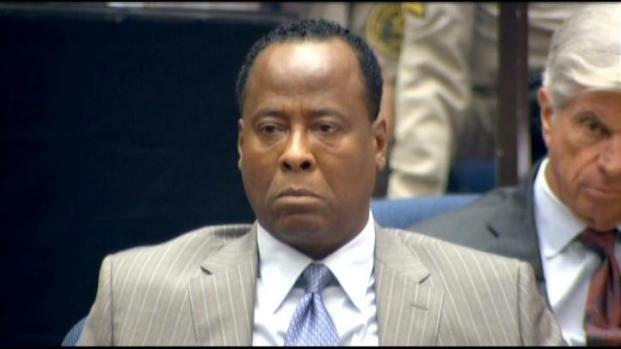 Prosecutors played a never before heard audio tape of Conrad Murray being interviewed by detectives, two days after Michael Jackson died. 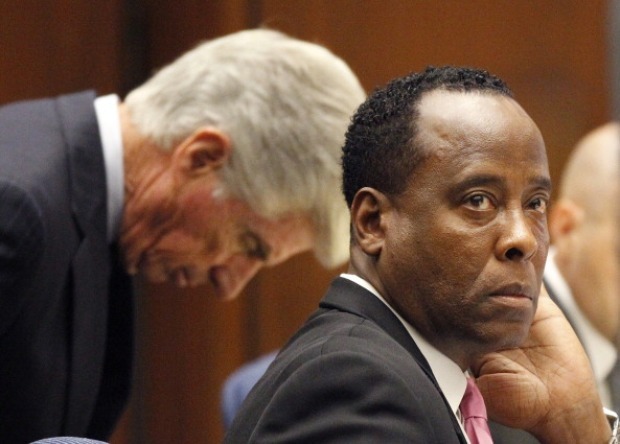 Steinberg was followed by a UCLA sleep expert who testified that Jackson's death of a "foreseeable complication." Dr. Nadar Kamanger said propofol should never have been administered as a sleep aid. "It's beyond a departure from the standard of care into something unfathomable,'' Kamanger said. The sleep expert is one of about 30 witnesses that prosecutors have called in an effort to prove that Murray was negligent in his care for the pop star. The defense is likely to call their own experts to provide testimony on Murray's care for Jackson and the drug at the center of the case.